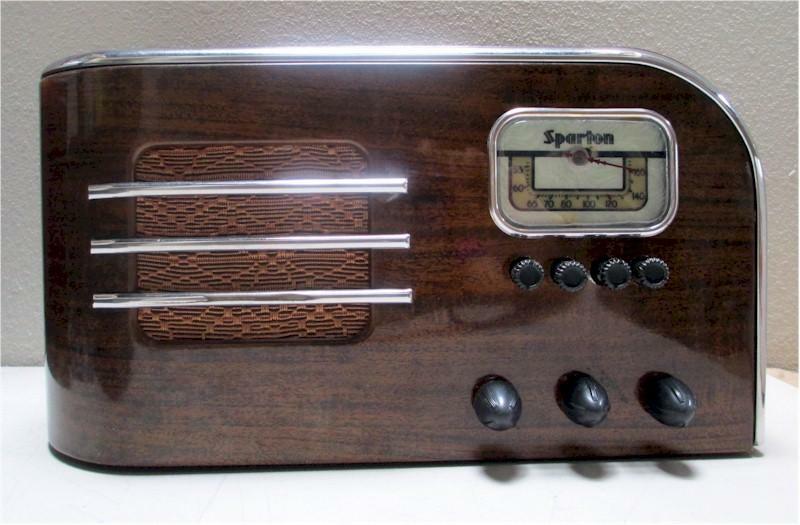 This five tube AM radio has a timeless design with a "wood-grain faux" metal case and chrome accents designed by Walter Dorwin Teague. Our technician installed one IF transformer, one oscillator coil, seven film capacitors, two electrolytics, one mica capacitor, two resistors and a new dial lens. The tubes were tested and the he polished the "photo-finished" case to minimize rust spots that are on the top and one side. This radio is not only stylish, it plays fantastic! You are visitor number 2,243 to this page.